So far Capt. Justin Rea has created 73 blog entries. Today marks the first day of fall. Here in the Keys summer has been hanging around. The heat of summer will stick around for a while longer I imagine. The nights are starting to cool off which is a sign there is relief on the horizon. September has already been a tremendous month for permit and bonefish. It’s so nice to see the population of bonefish so healthy. The beginning of September we had the Redbone S.L.A.M. tournament and the Redbone SuperFly. These events are a tremendous fundraising event for Cystic Fibrosis. I had the pleasure of fishing Cal Collier, Jr. again in the Super Fly. We started out the day getting our tarpon and were on the way to a bonefish spot when BAM! one of the blades of my prop fell off. And for those of you wondering – no, I didn’t hit anything. So while a friend and fellow guide, Capt. Rob Kramarz, went well beyond the call of duty to get another prop and schlep it out to me on the flats, we managed to pole over to a few flats and get our bonefish. After being broken down for about three hours we got going again and stopped at one more spot early afternoon to get the final piece of the puzzle – a permit. When we returned to the dock we found that Nathaniel Linville had also caught a slam but he had landed his last fish later that afternoon. We were so ecstatic to actually win the SuperFly after our breakdown that we decided to spend the next two days of the Redbone S.L.A.M. tournament searching for the target species but also enjoying the Keys waters and doing a little snorkeling and lobstering along the way. The weeks to follow have been calm, steamy hot and really great for fishing. As we head into the official fall months we will see the air cool down and in some cases the fish will be a lot more active. The offshore waters have been heating up and coming into October and November the blackfin tuna will move in plus there will be mahi-mahi, wahoo and sailfish. The bait supply is already very good which always helps. I do have a little time open in early October due to a cancellation. If you are thinking of coming down for some shallow water fishing the fall is a perfect time! There is a certain formula to landing your tarpon fishing days on one of the nights of the fabled Palolo Worm Hatch. Some guys try to plan it but the fact is even if you don’t hit the mother load on one of those evenings, the tarpon will still be willing to eat the worm even if it’s not while you sit at Bahia Honda Bridge on an outgoing tide, on a full or new moon at sunset. Tarpon start acting strange sometimes a week before the worms emerge from the hard coral rock. They might even just about disappear on the flats. It’s usually a tell tale sign that the “hatch” is going to happen. It’s frustrating to say the least when you run around all day looking for a meatball of fish only to find tarpon here and there scattered along the ocean flats. 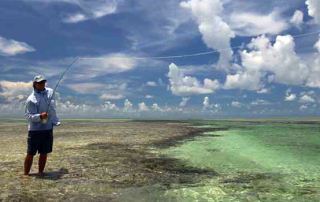 Of course there are other places to find them but those big ocean fish are what attracts fly anglers to the Keys this time of year and keeps them coming back year after year. Worm Flies are very simple to tie and I suggest rigging up the fly on the leader before you get out there. Do a dozen if you have time. Whether you just want a few jumps out of the fish or want to land him (which I don’t really suggest during the hatch because you are missing all the fun) you will loose a few flies. The fly can have blue or chartreuse thread and a simple strip of red rabbit or even a clump of marabou. You may want to keep the tail longer and trim it once you get out there and see what size the worms are. This past week through the Memorial Day weekend has been a challenge for fly fishing. The wind kicked up on Saturday and it’s been more of a permit fishing kind of day ever since. Wind and Palolo Worms don’t get along because of the chop on the water the worms would probably travel more subsurface. If you want to get away from all the boat traffic go on the hunt for permit on the Gulf edge. This time of year it is a welcomed relief from the intensity of tarpon fishing on the ocean and holding your position on the flat to wait for a shot. May has overall been a better month that I expected. The tarpon population is abundant all up and down the Keys. For the most part the fish are willing to eat a fly if it is presented correctly. This past week we went from wind good enough to kite board in to calm clear water and plenty of fish. 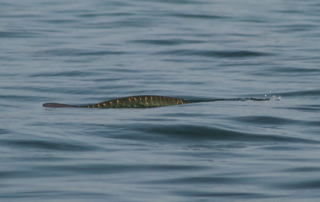 Presenting a fly to a tarpon takes more precision than you might think. These gentle silver giants see well but they are focused and usually will not turn too much out of their way to look at anything. The fly has to get there on the first try if you can and it has to come within a few inches of their nose to even matter. 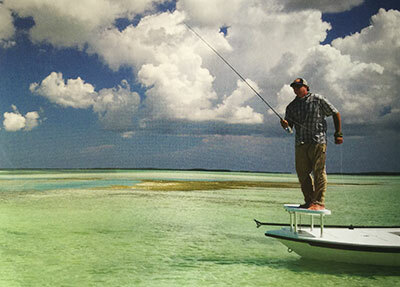 Some essentials for tarpon fly fishing that will help make the most of your trip to the Keys. Practice Accuracy. Once you have learned the double haul effectively and can put out a 40 to 60 ft cast with some accuracy, practice the accuracy part. If you are in a grassy area use a frisbee or something about that size and practice casting to it. Change your position to get the most of any scenario that you might encounter on the water. Practice in the Wind. Don’t always practice when it’s a nice calm day. Practice in the wind too. I’d suggest using the full line, leader and a fly with the hook cut off. In the Keys and most other tropical destinations the wind can come from all directions and some days it can be a stiff wind even for an expert fly caster. Get the fly out there quickly. Some anglers can take 4 to 6 false casts before getting enough line out to get the fly to the fish. In saltwater the tide is moving, the boat is moving and the fish are moving so those extra false casts just might cost you a great shot on a great fish. Try getting it to your optimum distance (with accuracy) with two or less false casts. Use a Practice Rod. If you don’t have the time to practice outside, practice the motions while you are indoors. There are some great practice fly rods out there to help you improve your stroke. Tarpon are amazing fish and this is the time to be here for them. Once you do find some and can pick a fish to make your cast to, listen to your guide’s instructions. Strip short, strip long and strip strike (no trout striking allowed!). The tarpon area really here year round but the big boys are here generally April though June. There may be some stragglers in July, August and September. April was a very good month for tarpon fishing this year. One of the best I’ve seen in years. The weather cooperated, the fish cooperated so everyone is happy. Tarpon could be found on the ocean or Gulf and in backcountry basins. Sometimes patience is needed to find the right fish to eat a fly. Generally they swim high in the water column and are slower swimmers. A windy start to the month of May has kept a lot of boats off the water but those who did make it out found out the tarpon don’t mind the wind. Although it’s tough for most fly anglers to cast in a heavy wind, the chop on the water helps mask the sound of the boat and enables us to get closer to the fish. Hopefully this wind will calm down soon. 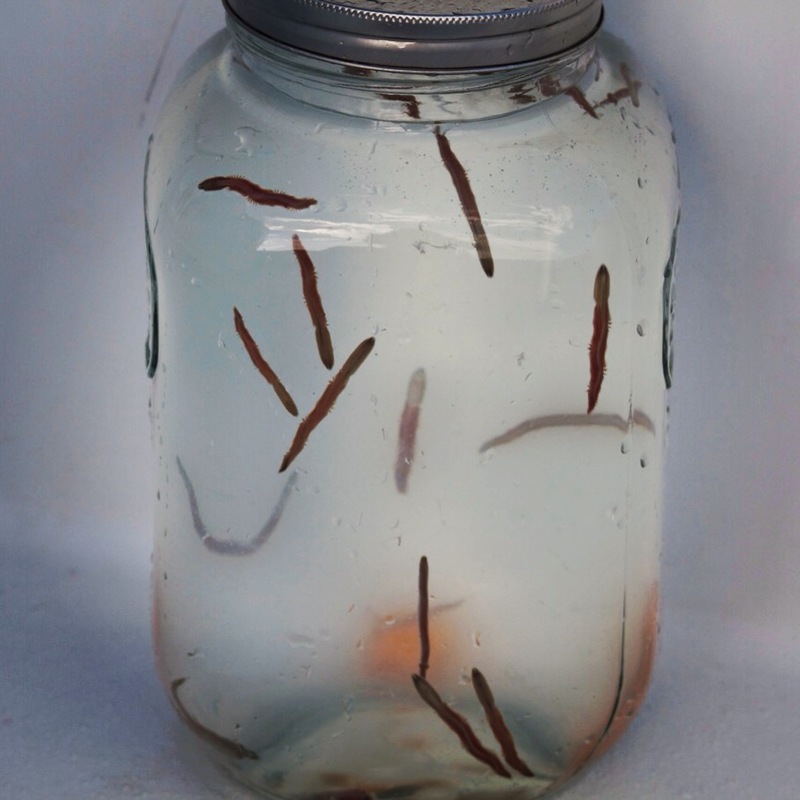 May is the time for tarpon and inevitably the Palolo worm hatch will happen at some point this month. The tide and moon have to be right and generally not a very windy day for it to happen. The Cuda Bowl celebrated it’s 5th anniversary the last three days in January of this year. A tournament born for the reason to create awareness of how much fun the barracuda can be when targeted (and released) in shallow water. There explosive takes of both spin and fly are like nothing you have ever seen. Nearly every person who fishes the Cuda Bowl has fun and catches fish. It can be anyone’s tournament right from the start – novice to expert. This year I had a couple of great anglers in the boat. We fished spin the first day and did okay – lost a few big cudas but so did some of the other boats. The second day my angler John Chinuntdet of Mooresville, NC make three consecutive casts with a fly rod and caught each barracuda. He racked up a total of 110.25 inches and it was enough to win us a Runner-Up award in the fly division. Thank you John and Rich for a fun couple of days. The tournament was dedicated to the late Ben Gravett who has fished in the Cuda Bowl since the beginning. He was a great guy and loved to fish down here in the Keys with his sons. We have a perpetual trophy that will have a home in The Angling Company and will be a team trophy awarded each year for the two angler team with the most inches reported for their six fish each. Steven Brown of Warrenton, VA had a total of 268 inches recorded for the two day event. Brown’s largest fish was 53 inches and also helped him to win the title for Largest Barracuda on spin tackle. Brown was guided by Capt. Pat Bracher of Overtime Charters in Cudjoe Key. Nathaniel Linville of Key West, owner of The Angling Company, took the fly division again this year with 187 inches recorded for the two day tournament. Linville was fishing with Capt. John Benvenuto of Key West. Matt Gravett of Warrenton, VA took second place in the Spin Division with 250.74 inches recorded. Gravett was fishing with Capt. Bob Paulson of Sugarloaf Key. Jim Knowles of Round Hill, VA took second place in the Fly Division. Knowles recorded 132.75 inches of barracuda caught on a fly rod. He was guided by Capt. Peter Heydon of Key West. Jon Penning of Middleboro, MA took third place in the Spin Division and only by 1/2 inch over Bear Davidson of Catlett, VA. Penning recorded a total number of 249.75 inches of barracuda. Penning was guided by Capt. Bob Beighley of Double Haul Charters in Cudjoe Key. John Chinuntdet of Mooresville, NC took third place in the Fly Division fishing with Capt. Justin Rea. Chinuntdet recorded 110.25 inches of barracuda all on the second day of fishing. Lacey Kelly of Ft. Myers, FL was our top lady angler. Kelly recorded 242 inches of barracuda and maintained the lead over our other women anglers for the duration of the two day event. Kelly was fishing with Capt. Jared Cyr of Key West. 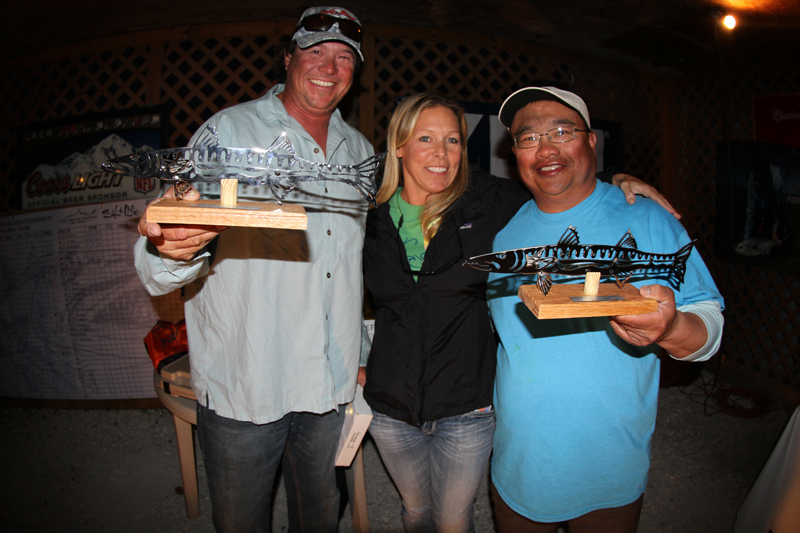 Lynn Bell of Summerland Key was a very close second with 230.25 reported inches of barracuda. Bell was fishing with Capt. Rob Kramarz of Chaos Theory Charters. Ted Margo of Ft. Worth, TX not only had the largest recorded fly caught barracuda of the 2015 Cuda Bowl, but the largest on fly in the history of the tournament. His largest was 47 inches. Margo noted that the two barracuda he caught on fly during the second day were his first ever. Margo was fishing with Capt. Drew Delashmit of Cudjoe Key, FL. Steven Brown and Jamie Gravett of Warrenton, VA fishing with Capt. Pat Bracher. The Perpetual Team Trophy was donated by the Gravett Family in memory of their Dad, Ben Gravett. The Gravett family has been fishing the Cuda Bowl since it’s inception in 2011. The trophy will be on display at The Angling Company. 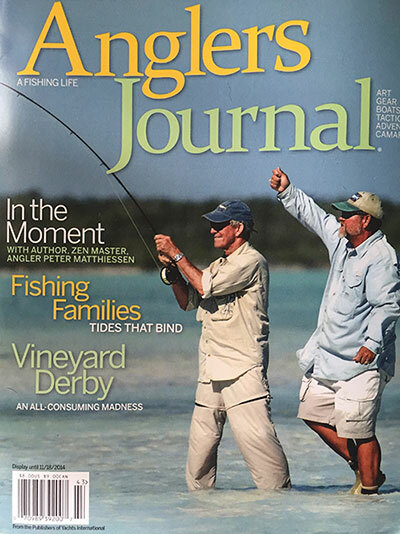 Check out Anglers Journal Fall 2014 edition. 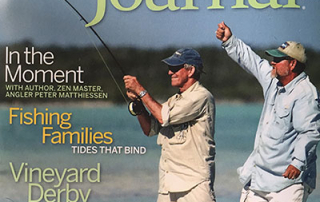 There is a great article on permit fishing. Chris Dombrowski sums up permit fishing in this great article that combines my love/hate relationship with permit and some interviews with other people who have fished with me for permit. Flats Action has been Good! Christian with a nice fall permit caught while wading. The past week has been a good one for shallow water fishing and wading in the mornings and evenings especially. I had a great angler this week and despite the skies being not so clear, it was calm which made seeing tailing fish and push through shallow water easy. Tides have been right for wading but it is not always that perfect. The fall months tend to have the best tides to wade here. 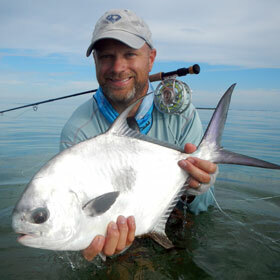 Permit and bonefish will be the target species through the end of October. There are some tarpon still around, mostly smaller ones with a few good sized mixed in. We have some availability this coming week due to a cancellation so if you have time come on down for some fishing! The hot August weather gets to you about 10AM. It’s the fishing that keeps you going for at least a few more hours. I love the summer months for a number of reasons. Less crowded. Tailing fish. Lobsters! We go lobstering now as a family most of the time. This year the regular spots have been good with some really great sized lobster. While the rest of the nation is taking a pounding of snow and winter weather we are still enjoying the warmth and sunshine that makes this state the envy of the nation. At least right now it does. Ok so this morning it was a little cooler out but the last week or so has been spectacular weather. Calm and crystal clear water, warmth up in the 80s and tarpon! Yes, that’s right, Tarpon in February. It doesn’t happen every year but a few lucky souls get to enjoy the sun and the tarpon fishing – what a treat! Backcountry fishing has it’s ups and downs this time of year in general. Permit are always on hand but may fluxuate in and out of deeper water depending on the temperatures and air pressure. Look for the permit fishing to get better and better as we head into March. We will keep our fingers crossed that the permit stick around until mid-March for the March Merkin Permit Tournament. The tournament runs March 17-20 in Key West and benefits Bonefish Tarpon Trust specifiically to the Jon Ain Memorial Fund. Ain was the founder of the March Merkin and a very accomplished permit angler too. Other backcountry options include barracuda which can be quite large this time of year. Our Cuda Bowllargest fish measured was by David Moloney of Summerland Key at 51.5 inches! That’s a big one! Jack crevalle, sharks, snappers, grouper and sea trout are also good rod bending material in the shallow waters. Offshore has been just as active the past few weeks. Wahoo, tuna, sailfish, mahi mahi and kingfish are out beyond the reef. Although finding bait can be a challenge at times once you find it and head out there you are bound to make the ocean boil behind your boat. Reefs and wrecks are alive with grouper and snapper. Don’t forget grouper season is closed until May 1 so enjoy the fight but let them go for another day. Tarpon will continue to move around as long as the water temperature is higher and calm winds also help too. They will be migrating soon and it’s hard to tell when exactly it will start but peak times for tarpon are April through July.